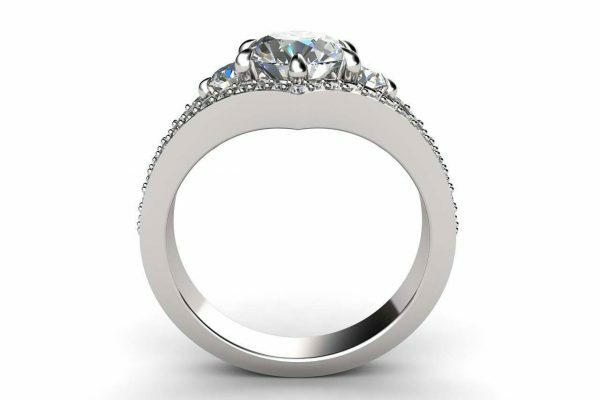 This stunningly ornate multi diamond engagement ring features three round brilliant cut diamonds sparkling in its centre between two diamond set peaks. 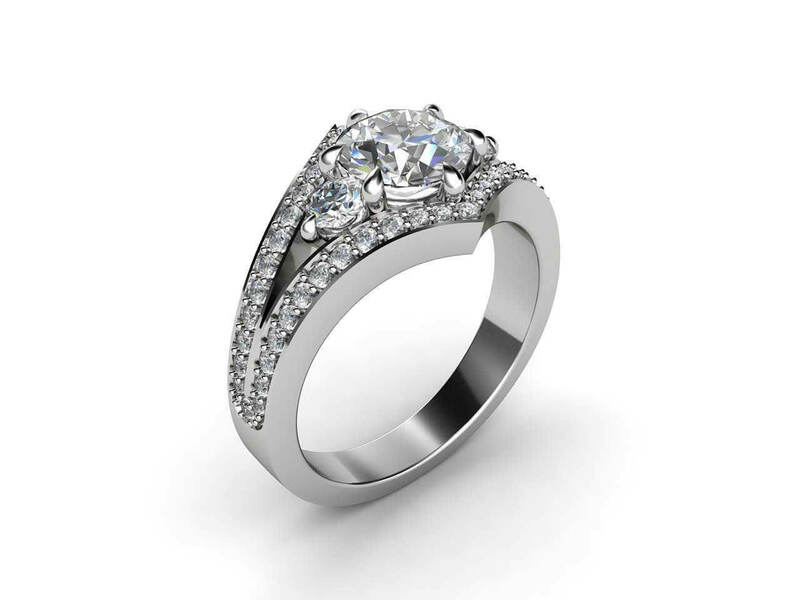 The band splits in two, with the top encrusted with smaller round cut diamonds and fine beading. 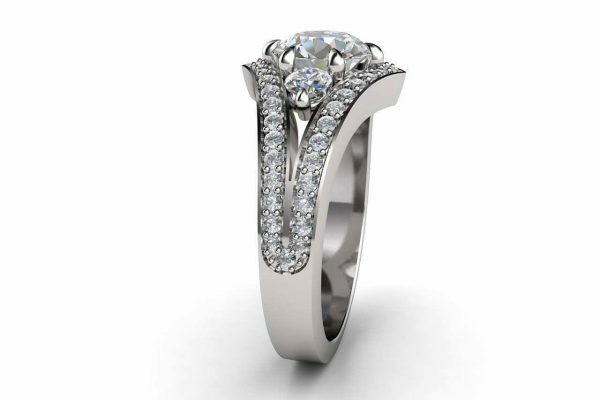 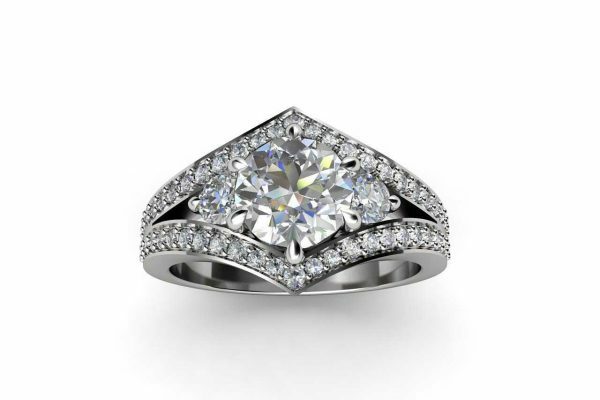 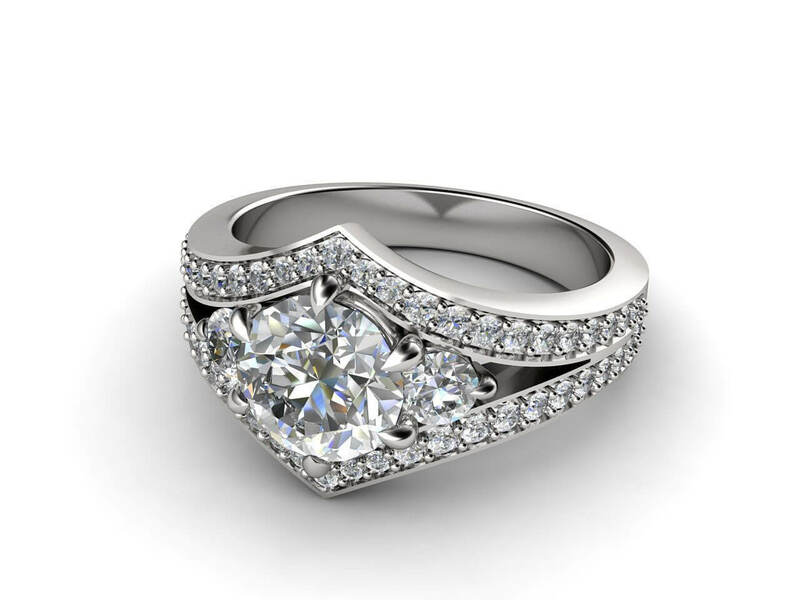 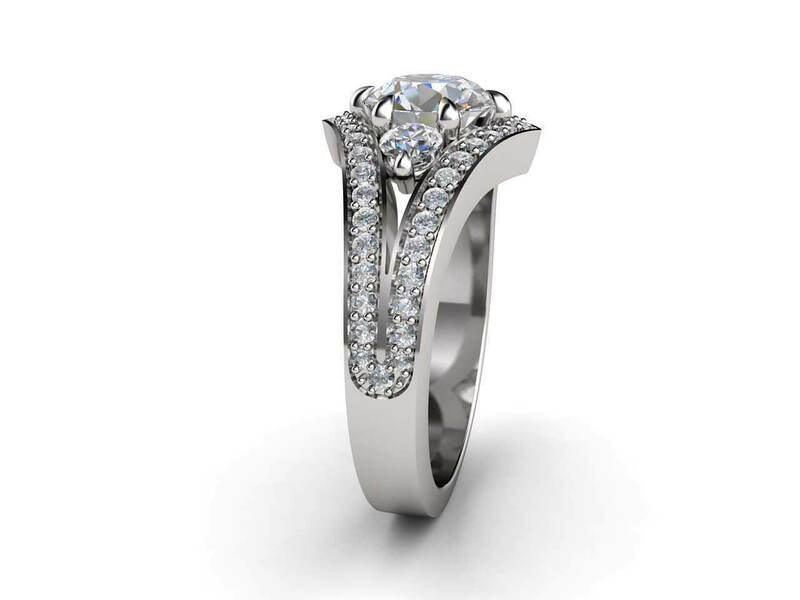 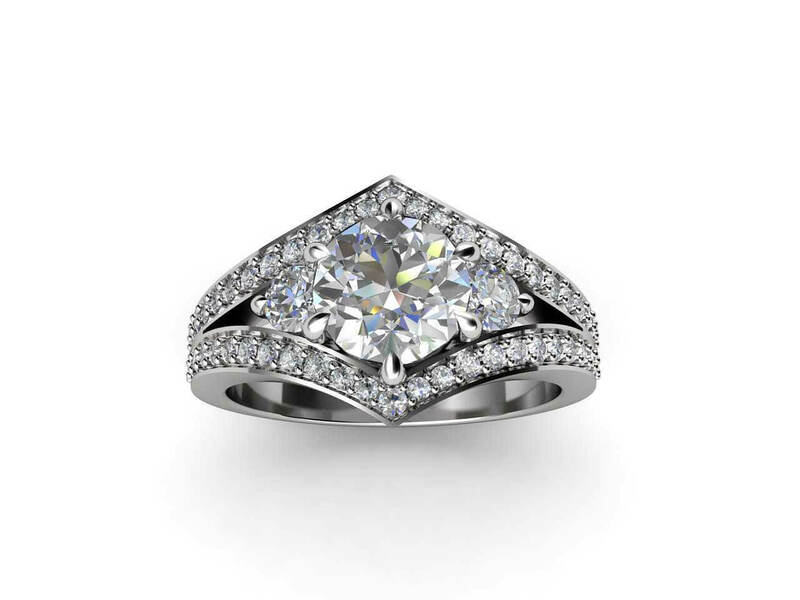 The central diamonds are held in place by strong claws which add to the richness of the design. 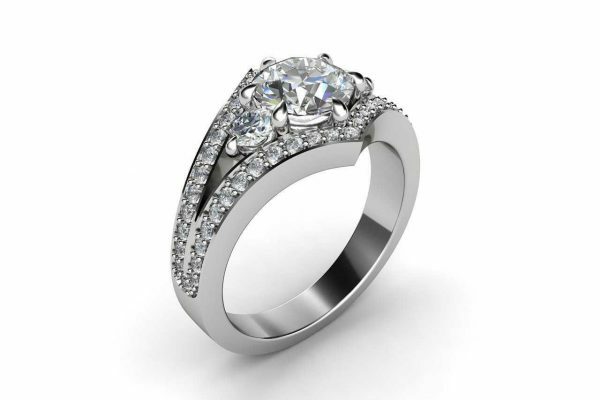 The large centre stone can be a certified diamond or a coloured stone of your choice. 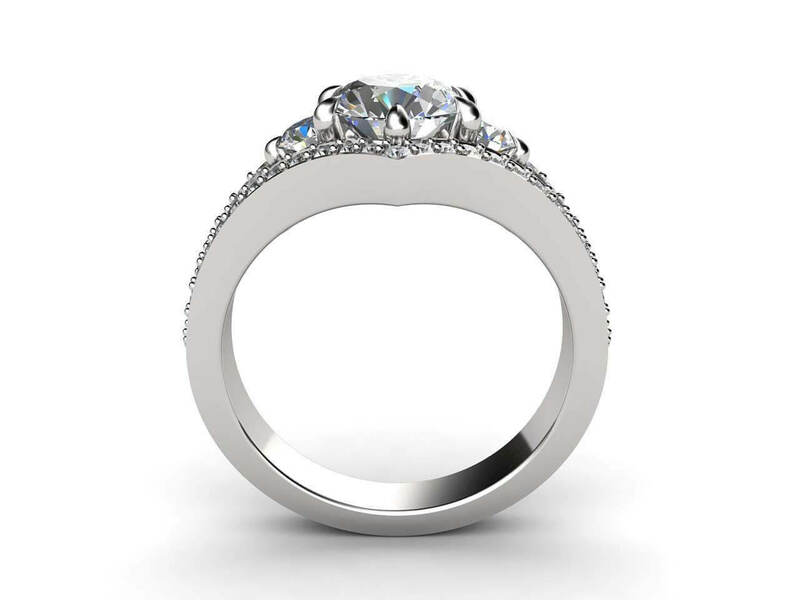 Exclusive to Joseph George of Melbourne, like many of our rings this elegant and timeless design can be custom-made in 18k white or yellow gold or platinum.